Whether you’re a Jason hater or an Effie hater, “Hot Ghetto Mess” provides ample ammunition for your side of the debate. If you’ve definitively come down on one side or the other, you’re unlikely to have your mind changed by the end of this episode (unless you decide you now hate both of them). There’s another way of looking at it, though, which is that these are two people who absolutely should have never worked together. They may each be trying to do what’s right for the film as they see it, but they’re not doing it in any kind of collaborative fashion. Every scene they share is a cringe-fest full of misunderstandings, and missed signals, completely lacking in any rapport or, by the end, even surface-level civility. The problem with seeing this dysfunctional relationship boiled down to 30 minutes is that it ends up being a he-said, she-said situation lacking in some crucial context. While some of Jason’s more conspiracy-minded contentions (such as his belief that Effie put off telling him the car stunt couldn’t be done the way he wanted until it was too late to logistically pull it off) sound over the top, the sequence of events we see in the episode suggests that his frustration is at least understandable. For whatever reason, he believes that the car flip is the key to the whole movie. When Effie comes to him and says she’s robbing Peter to pay Paul in order to get him “close” to what he wants for the stunt, he interprets that as meaning the flip is still in play. Should he have been more specific and asked her exactly what she meant by “close”? Should she have explained that without being asked? I think the answer to both questions is yes, but unfortunately the conversation gets derailed by their oil-and-water personalities. It’s not unreasonable that Effie would expect an encouraging word after figuring a way to shuffle the budget around to accommodate the stunt (or at least some version of it). Given what we’ve seen so far this season, it’s not surprising that Jason shows absolutely no gratitude. In his mind, the stunt is in the script, it’s important to his story, and therefore it’s something that is definitely happening. It’s a sense of entitlement, as Effie points out, but since that attitude worked for him when he wanted to shoot on film, why would he feel any other way? Even though Jason has already been on a conference call with Len Amato in which it’s stressed that the stunt may not be doable given budget, time, and safety constraints, he still hasn’t heard the word “no” as far as we know. The lack of communication comes to a head in the episode’s supremely uncomfortable final scene. Effie says the stunt is not a flip, and Jason, looking like the Prince of Darkness in dark shades, asks when that was decided. She insists that she never said they could do the flip, and he counters that she told him they could do it the way he wanted. If they had bothered to talk it out earlier and come to an understanding of exactly what Effie meant by getting close to the stunt, this could have been avoided, but now their personality conflict is getting in the way of the movie going forward. It is, however, enormously helpful in moving the reality series forward. 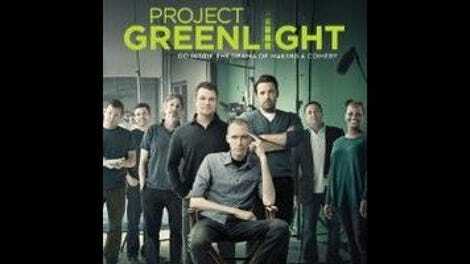 Things were almost going too smoothly last week, and that’s just not what Project Greenlight is about. Jason’s compromising side comes out when he’s backed into a corner. 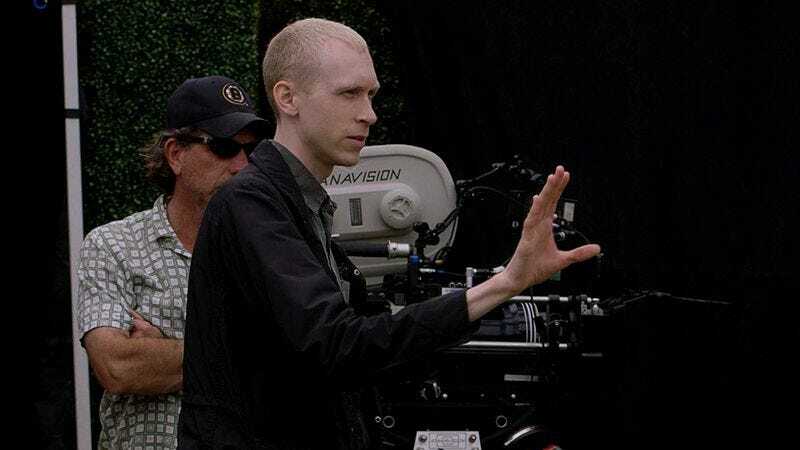 With no permits for night shooting, he is forced to come up with a scene connecting the daytime wedding rehearsal scene with the rest of the movie. He can grumble all he wants about how the producers don’t seem to care whether the light matches (and how he might have to fix it—shudder—digitally), but we never see him acknowledge his own role in allowing this to happen by approving the location so late in the game. Hey, remember that thing Matt Damon said back in the first episode about achieving diversity through the casting of the film rather than the casting of the show? Yeah, not so much. Noticing that every guest at the wedding is white, Effie is not at all interested in seeing the only black extra playing a chauffeur, and intervenes with Van to ensure it doesn’t happen. Wouldn’t it have been nice if the white director had thought of that? Marc Joubert continues to be my role model on the show. He appears to be fed up with just about everyone.